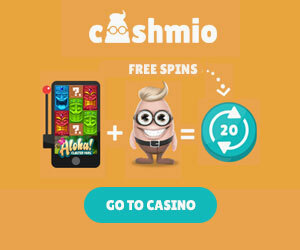 You can play the games featured on this page at Casumo – A Casino. 3D slots that have a high variance and they give players a specific type of experience that has become popular with some who like the chance at higher payouts. Although this is true about high variance slots, players give up the fact that there will be bigger and less controlled swings in their slot sessions. This means that they will be giving up balance in the pay table which leads to fewer small- and medium- sized wins. Still the lure for players to win big is where the excitement lies. What are the best high variance slots in the industry and where should you be putting your money? We are going to share 5 of the most popular online slots running today that have a high variance. These are games that offer the excitement and anticipation on every spin as well as the chance to win big. Playing on the theme of the movie, 300, with King Leonidas and the Persian King Xerxes, 300 Shields places its reels in a wheat field with Sparta off in the distance. This slot has 25 paylines spread across a typical 5×3 layout. One of the sources of the high volatility gameplay for 300 Shields is the 1,000x win for five wilds and the 100x win (times your entire bet size) for five of the scattered shield. A total of 12 or more on the shield count gives you another five free spins. Based on a wild west theme, Dead or Alive offers incredible graphics and a top-heavy pay table combined with the selection of bonus features. With five reels with three rows and nine paylines and a chance to catch bandits that are tied to significant payouts, this game has all the action you could want. An Egyptian themed slot, Book of Dead offers gameplay with five reels, three rows and 10 paylines. Players can bet with coins that run from $0.01 to $2 apiece and the ability to bet up to five coins on each of the 10 paylines. With six reels, four rows and 4,096 ways to win on every single spin, Ragin’ Rhino by WMS is one of the best. Bet sizes start at $0.40 and go up to $120 per turn and the main feature that drives the gameplay is the free spins. Three diamonds gives you eight free spins, and four will give you 15 free spins. However, a total of five on the reels at the same time will give you 50 free turns, which contributes greatly to the volatility of this slot. With a theme of a vampire love triangle, Immortal Romance is a very popular online slot that uses five reels and three rows as well as a 243-ways format to give you several ways to get paid on every spin. The Wild Desire feature will stop with the reels spinning at an ultra-speed, and extra wilds (up to five total) will fall on the reels, giving you extra pays since they expand to cover the reels they’re on.